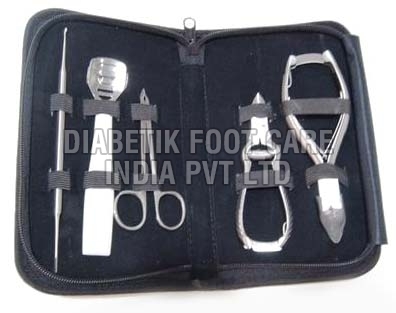 The Podiatry Kit (Full) comprises of simple and essential podiatry instruments that are used for removing corns, callous, nail cutting, nail trimming and corn shaving. All the instruments are made from high quality stainless steel which may be autoclaved. The additional tools help the podiatrists manage the foot well. The full kit consists of 10 essential podiatric tools.